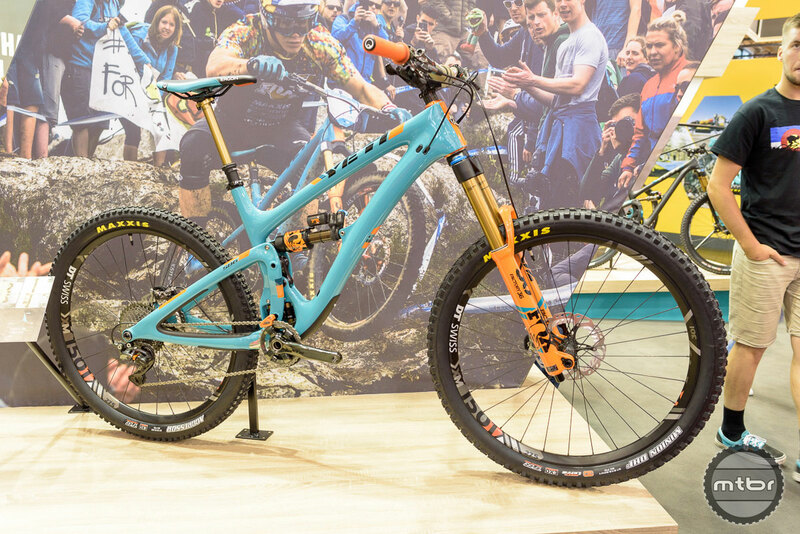 Check out the stunning limited edition Yeti SB6 TR, as in team replica. 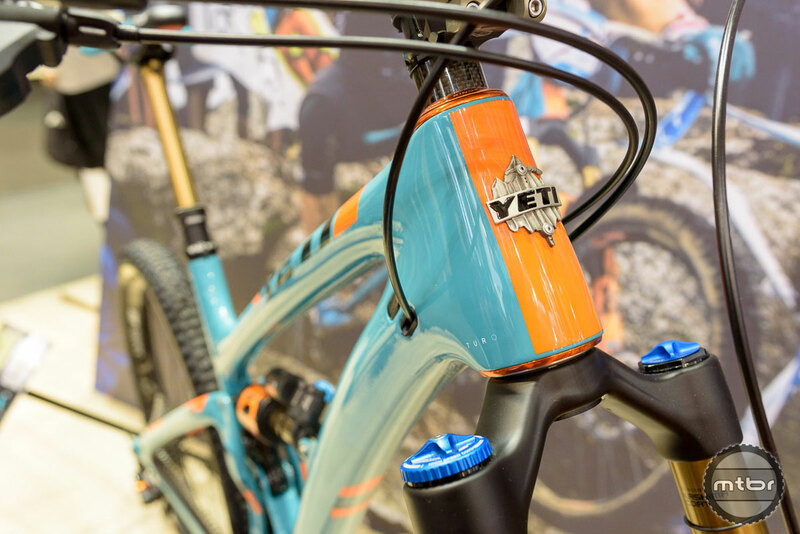 Colorado-based bike maker Yeti was showing off some new builds of its popular trail/enduro bikes at the Eurobike trade show in Germany. 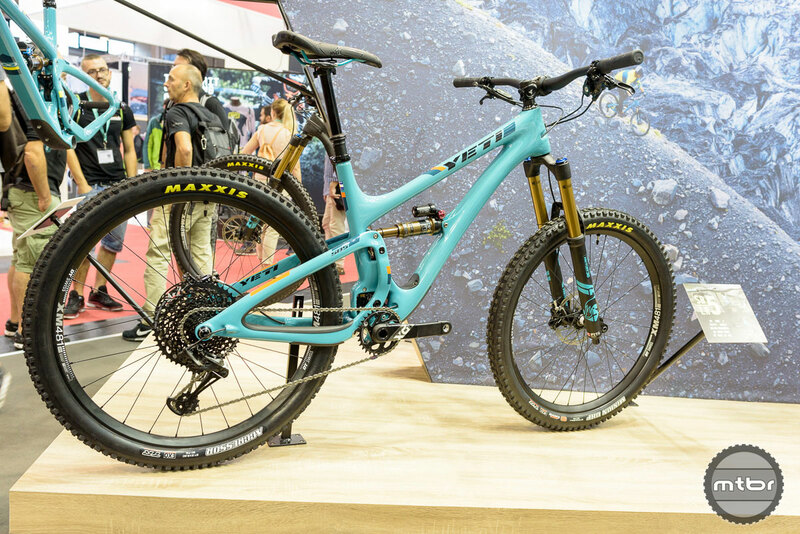 Here’s a look starting with the stunning limited edition Yeti SB6 TR, as in team replica. 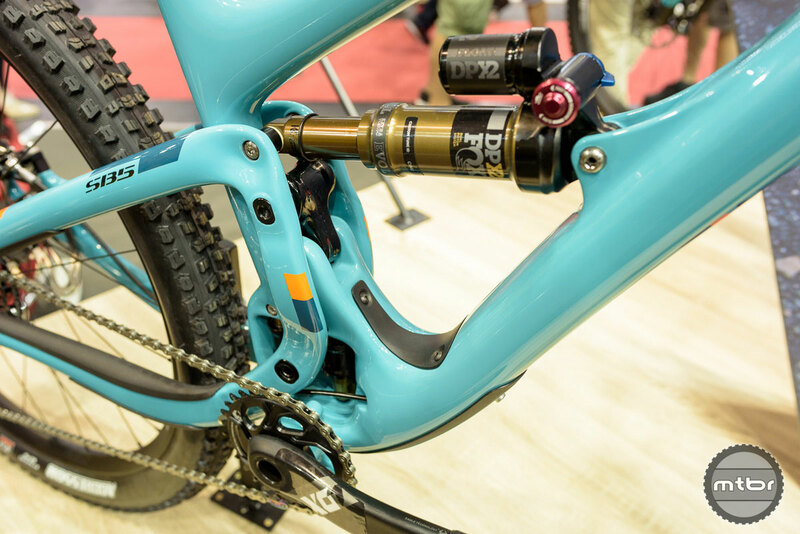 This copy of the bike Enduro World Series star Richie Rude rides features suspension by Fox, offering 170mm in front and 150mm in rear. Factory Team sponsors account for the rest of the setup: Shimano, DT Swiss, Renthal, Chris King, Maxxis, OneUp, and Ergon offer the best of their components to complete this marvel of shredding. Beautifully integrated cable routing and a color matching Chris King head set. 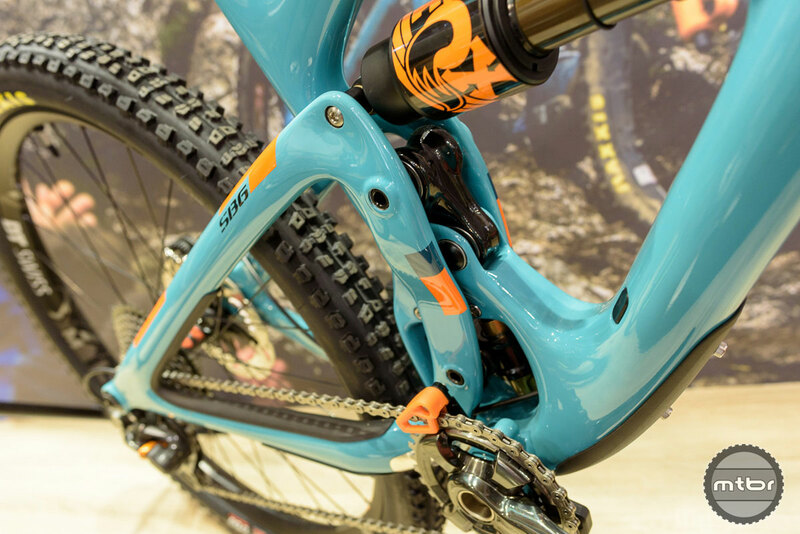 The frame is high end Turq Series carbon and it’s equipped with the race proven Switch Infinity suspension design. Maxxis delivers the contact patches with as Minion DHF 2.5 in front and Aggressor 2.3 in the rear, while a DT Swiss XM1501 Spline 1 wheelset with 30 mm rim width keeps everything rolling smooth. 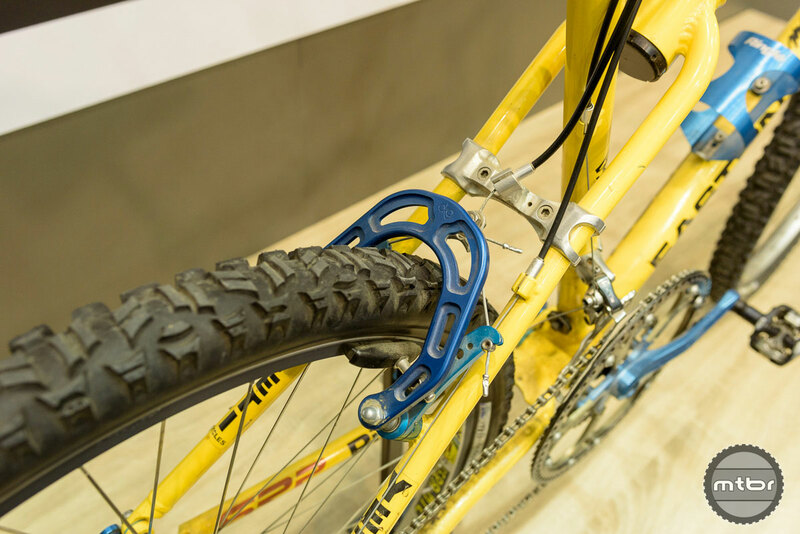 Drivetrain and brakes are Shimano XTR all the way. The Chris King Mango headset and Renthal bars and stem fill out the cockpit. Rider contact points are Ergon grips and saddle, while a Fox Transfer Kashima coated dropper post delivers smooth action. The SB6 series start at $4999. The SB6 Team Replica model sells for $9499. The Yeti SB5 LR is ready for a lunch ride. A result of tinkering with existing models, Yeti employees often get to try out new things and talk a lot about them during their daily lunch rides. Thus some interesting parts get mounted on the SB5, which results in the Lunch Ride build moniker. The range of capabilities of this bike has been enlarged by putting a Fox 36 front fork with 160mm travel, while on the rear end the Fox Float DPX2 shock is ready to tame any trail. A Fox DPX2 shock gets rear travel duties. Other features include Maxxis DHF 2.5 and Aggressor 2.3 tires around DT Swiss 350 wheels. SRAM Guide RSC brakes take care of the stopping. The drivetrain is SRAM X01 Eagle. Ergon grips, WTB saddle, Fox Transfer dropper post, Yeti Carbon handlebar and Race Face Turbine stem complete the package. The entry level SB5 will set you back $4799. The SB5 Lunch Ride retails at $7199, with the option for a carbon wheel upgrade for $1300. 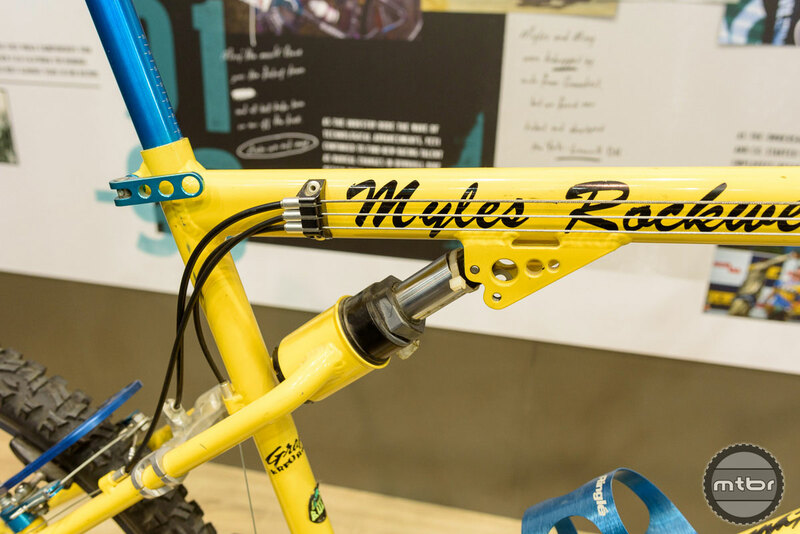 Go old school with this Myles Rockwell Yeti ARC DH bike replica. 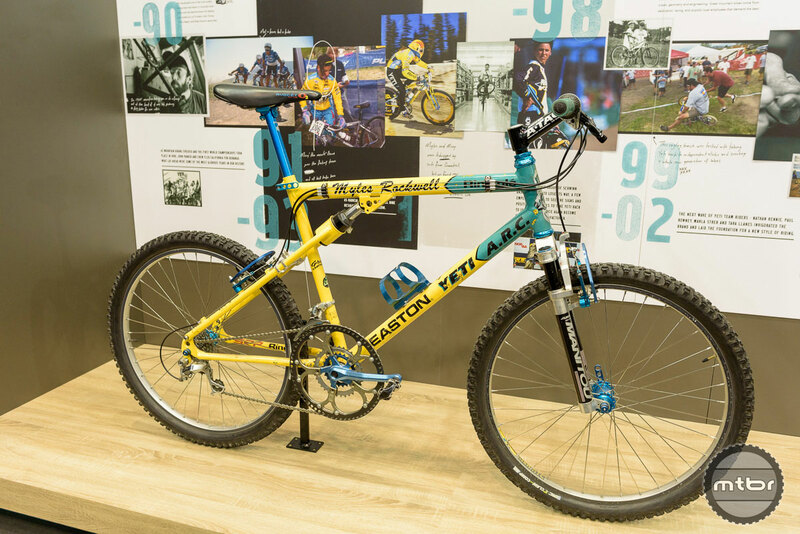 To illustrate where mountain bikes have come from, check out this Yeti ARC downhill bike. Crazy to think that this bike went over 60mph on dirt with suspension travel of about 3” front and rear and narrow tires that had to be put at pressures around 60 psi to prevent pinch flats. 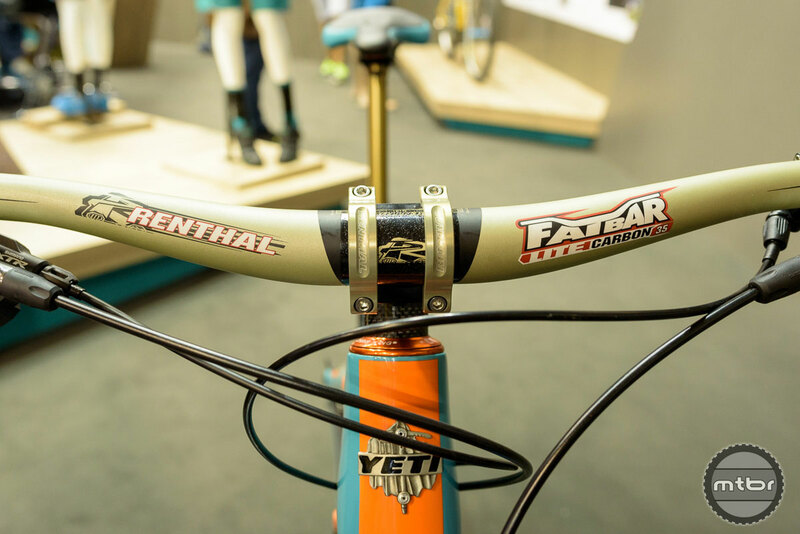 Everything was held in control by the super narrow handlebar combined with a lengthy stem. Rim brakes with matching anodized brake boosters. 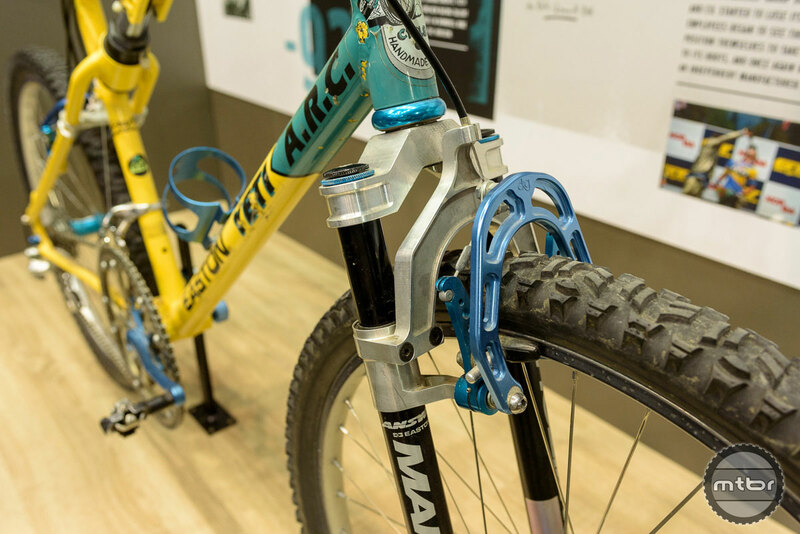 And don’t miss the beautiful blue anodized parts, including rim brakes with brake boosters, Ringlé hubs and cranks, and the water bottle holder. 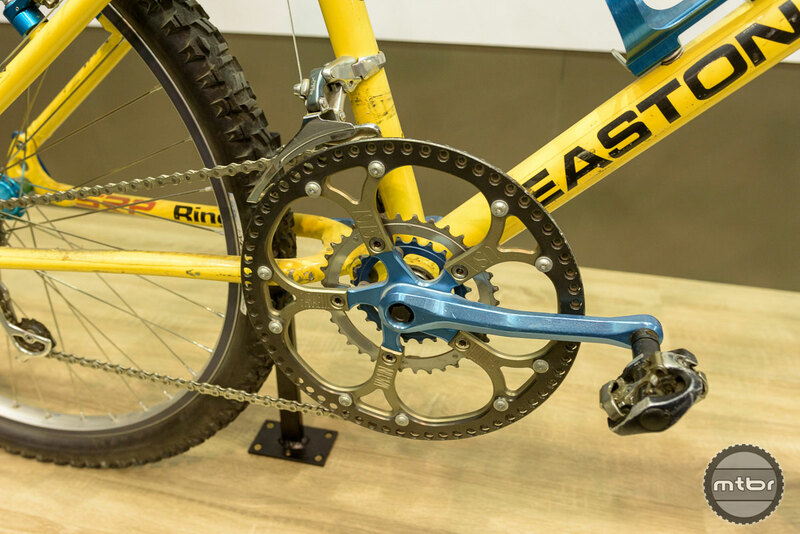 The 64-tooth big chainring was combined with two smaller rings to have full gear range. 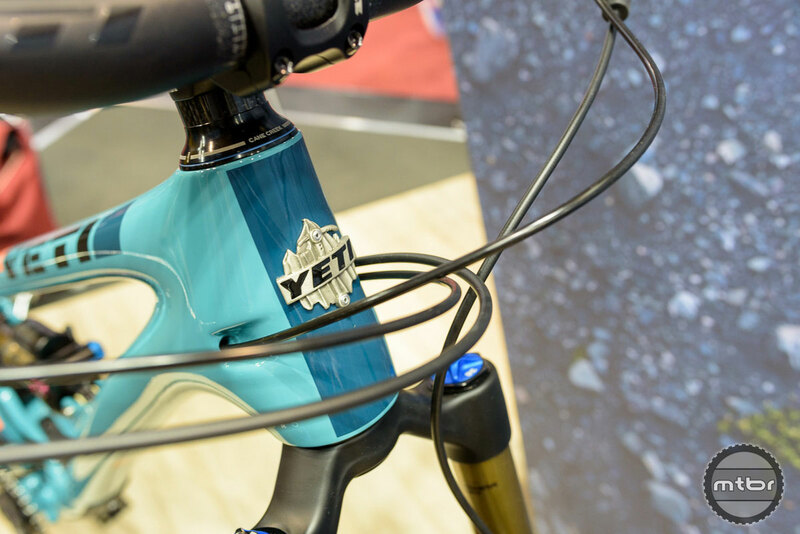 To learn more about all the Yeti bike, rip over to www.yeticycles.com. Let’s go old school with Myles Rockwell’s Yeti ARC DH replica. These skinny tires were put at around 60 psi to prevent pinch flats. Before cables were integrated in the frame, at least they were grouped. This whopping 64 tooth chainring allowed putting in some extra power at 60 MPH. Limited edition Yeti SB6 TR (team replica). 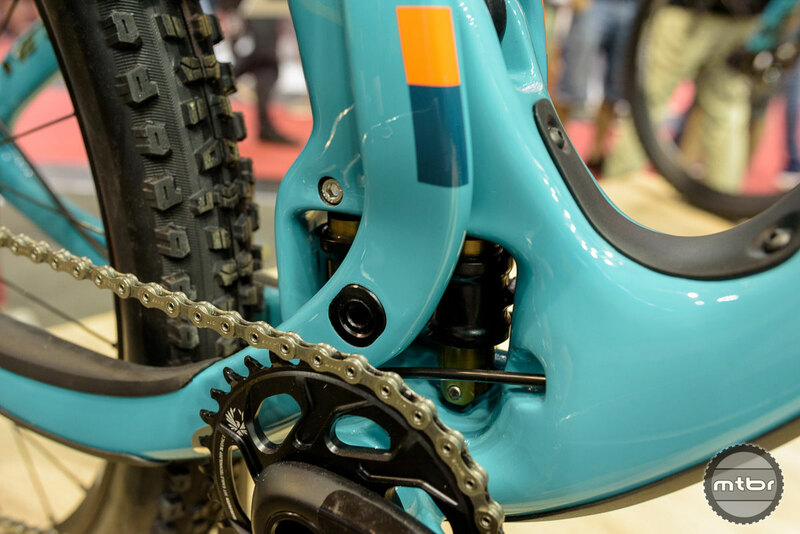 Detail of the Switch Infinity pivot — 150 mm of rear travel on this model. 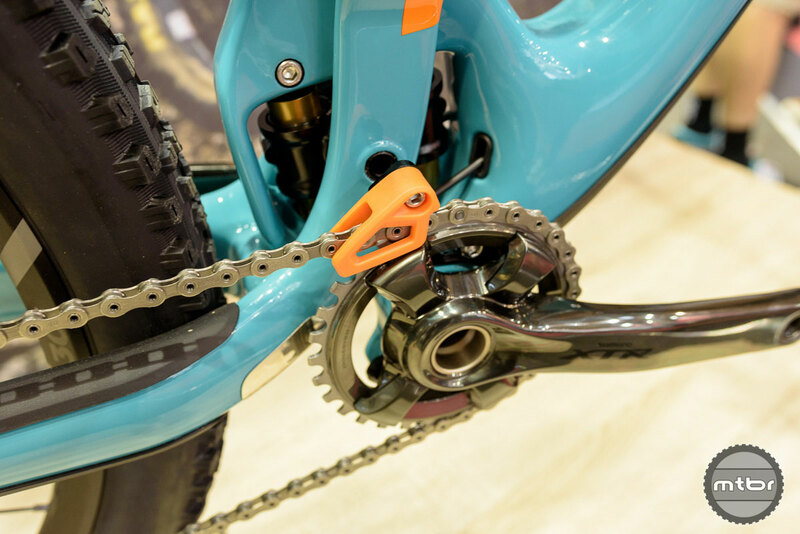 Part of the full Shimano XTR drivetrain, combined with a color matching chain guide. Yeti SB5 LR — ready for a lunch ride. Closeup of the Switch Infinity pivot, that switches direction as the bike moves through its travel. 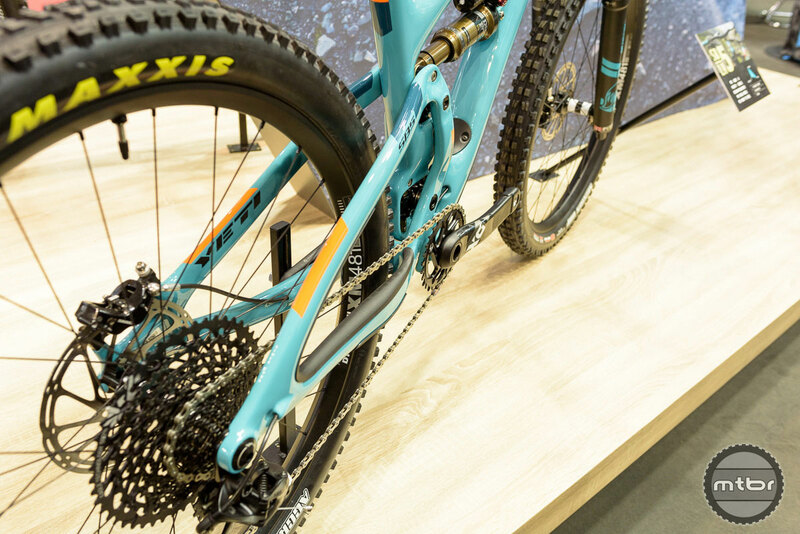 The rear end with SRAM X01/GX Eagle 1×12 drivetrain. Let’s not forget the finishing touch with the beautiful Yeti logo on the head tube.